86 percent were teased repeatedly. 43 percent said they’d had the food to which they were allergic waved in their face. 64 percent had experienced verbal taunting. 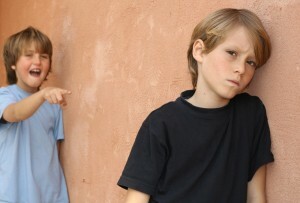 35 percent had experienced a physical form of bullying. Approximately 20 percent indicated teachers or other school staff had taken part in teasing them. Put an end to bullying immediately. It needs to be stopped dead in its tracks as soon as it happens. Doing nothing permits it to continue. Staying silent gives it power. Give it a Voice! Protect the Victims.